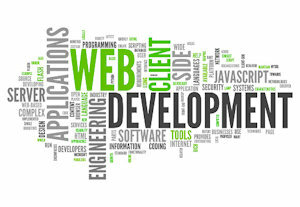 Fort Worth Web Design offers a wide range of web site services for small to medium sized businesses and organizations. On this page you will find an overview of the many services we have to offer you to make your website perform organically as well as possible. We optimize all of our website's as we build them, we create search engine friendly design and coding and make sure that your site is search engine ready when it is launched. Fort Worth Web Design is committed to these requirements. We believe it helps us to do a better job for our clients and make the overall experience a pleasant and professional one. Almost 80% of a website's traffic begins with a search query. That's why search engine optimization (SEO) is so important. Search engine optimization is the process of affecting the visibility of a website or a web page in a web search engine's unpaid results—often referred to as "natural", "organic", or "earned" results (also referred to as "rankings"). In our viewpoint SEO is really made up of two parts, optimization (the things we can do on the website pages) to improve ranking and marketing (SEM) which are the external things you can do to create visibility for your site, such as blogging, creating and maintaining social media sites that link back to your site (Facebook, Instagram, Pinterest, LinkedIn, YouTube, Twitter and others), as well as getting listed in local online directories or Google My Business (formerly Google Places). When we create your site we "optimize" it as we build it making sure that the code structure is clean and search engine friendly, that images are optimized so that your pages load fast, that the meta tags used by the various search engines are being used and that your content is focusing on the main key words and search terms for your business or organization and other key elements that help in the organic search results. While no one can control search rankings, our goal is to have your website perform as best as it can in the organic search results. We can work with you on your social media, creating branded pages on many of the social media sites and we can help you set up a blog and online galleries for posting photos. We even have a program to maintain and post content for you on these sites if you do not have the time or knowledge at affordable prices. Facebook, Instagram, Pinterest, LinkedIn, YouTube, Twitter and others, as well as getting listed in local online directories or Google My Business (formerly Google Places) are some of the more important social media sites that can create more visibility for you on the internet. Not all social media sites are right for every business or organization. We can help you determine what is right for you. Pay-per-click (PPC), also known as cost per click (CPC), is an internet advertising model used to direct traffic to website's, in which an advertiser pays a publisher (typically a search engine or a network of website's) when the ad is clicked. This is sometimes referred to as paid search. 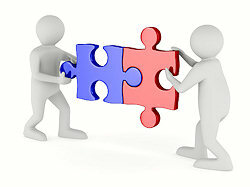 Pay Per Click ads can be very effective when targeted properly and the campaigns are well managed. Pay Per Clicks ads as a good way to create instant "ranking" for a new website while the organic ranking is being established and climbing. Pay Per Click ads are also a good way to get visibility in a very crowded or competitive business category, such as attorneys, insurance, medical, construction and others. We differ from many SEO companies in the way we handle PPC ads for our clients. We charge a small monthly management fee, let you establish your click budget for the month and you pay the clicks direct. We only get our management fee regardless of the size of your ad budget. The better news is that you do not have to sign a long term contract with us. You can try it for a month, or two, or as long as you want. If you are a seasonal business, you can run the ads during your season and turn them off after your season ends. We don't care, we want what works best for you. We offer a variety of plans so contact us for more details. Fort Worth Web Design can help you to develop a complete online website that serves as a tool for you and your visitors and customers. You can allow customers to interact with your company online for a function or service that you provide for them and generate reports an log activity. Both you and the customer have access to account history and activity. A mobile app is a software application designed to run on mobile devices such as smartphones and tablet computers. Do not confuse a mobile app with a website. Although both are used on the same media (smartphones and tablets), mobile applications (apps) and mobile websites (also called Web Apps) are very different. A mobile app is a program that is downloaded and installed onto a user's mobile device, whereas a mobile website is simply a website adapted to tablet and smartphone formats. A mobile application must be downloaded either from an online store such as the App Store or Google Pplay. The application is then saved on the smartphone or the tablet, and in most cases it does not require an internet connection in order to work. A mobile app, remains on the user's smartphone, and is therefore ideal for frequent and repeated use. A mobile website however, is designed for mobile communication with the purpose of informing or for specific events and promotion. Fort Worth Web Design can create a custom mobile app for both iPhone and Android devices. We will be happy to discuss with you whether or not you need an app or just a mobile website.